Sigmund Luscher was born Switzerland in 1833 and emigrated to Memphis, Tennessee in the early 1860s. 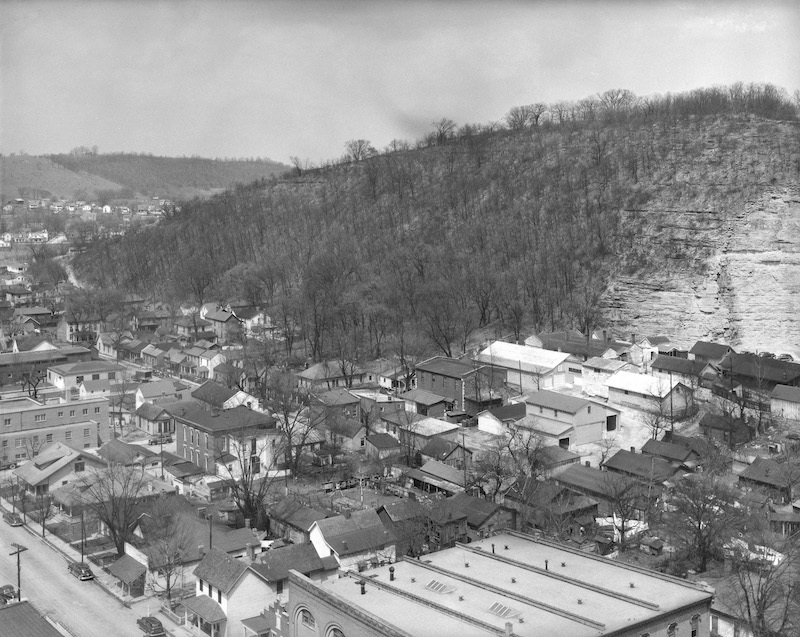 He built his first brewery there, but it, along with Luscher’s home and vegetable garden, was burned down by Sherman’s troops during the Civil War. Luscher briefly fought with union troops before he was captured and sent to the infamous Andersonville, Georgia prison camp. After being released from prison camp, he returned to Switzerland until the war ended, at which time he moved back to the southern United States. This time he chose Frankfort, Kentucky and used the reparations he received from the burned-down Memphis brewery to start his second brewery in Frankfort in 1866. Luscher took over the Capital Brewing Company, a community project started in 1805 when leaders in Frankfort decided they needed a brewery. The man-made caves for storing the beer took 6 years to build and operated for 12 years. Business prospered, so it was decided to expand the operation as the Capital Brewery and sell to the surrounding community. The brewmeister, according to research, kept a barrel with a cup hanging on it outside the door for samples. 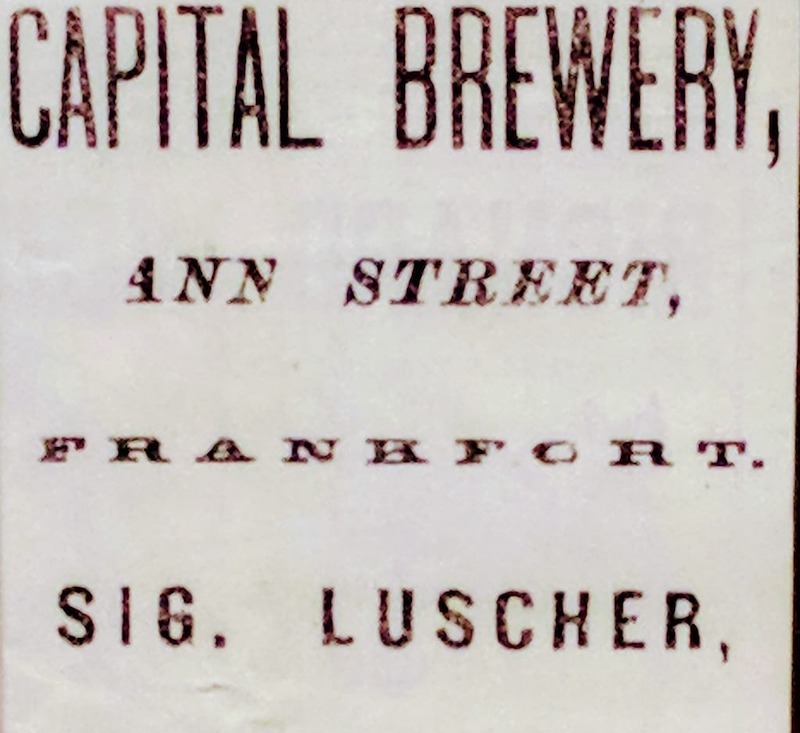 Luscher took over Capital Brewing Company after the Civil War and renamed it the Sig Luscher Capital Brewery. For unknown reasons, “Capital” was sometimes changed to “Capitol” in documents, articles, and the brewery’s own branding. 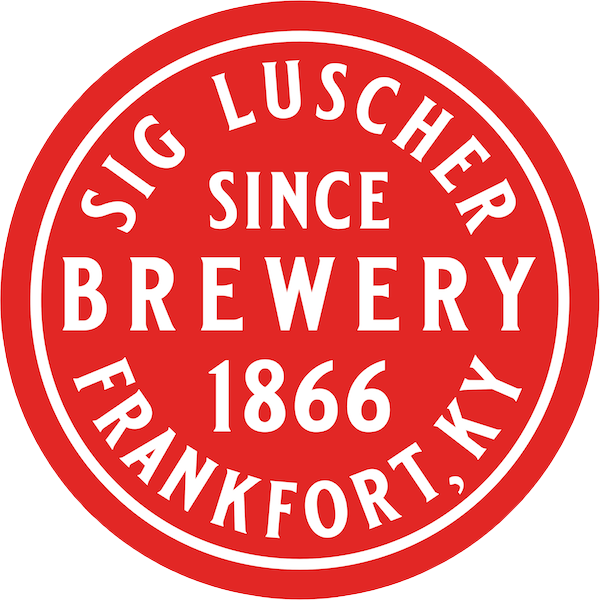 Luscher opened a brewery in Frankfort on the east side of Ann Street in the late 1860s, where he formed a close partnership with E.H. Taylor – the father of the modern bourbon industry. 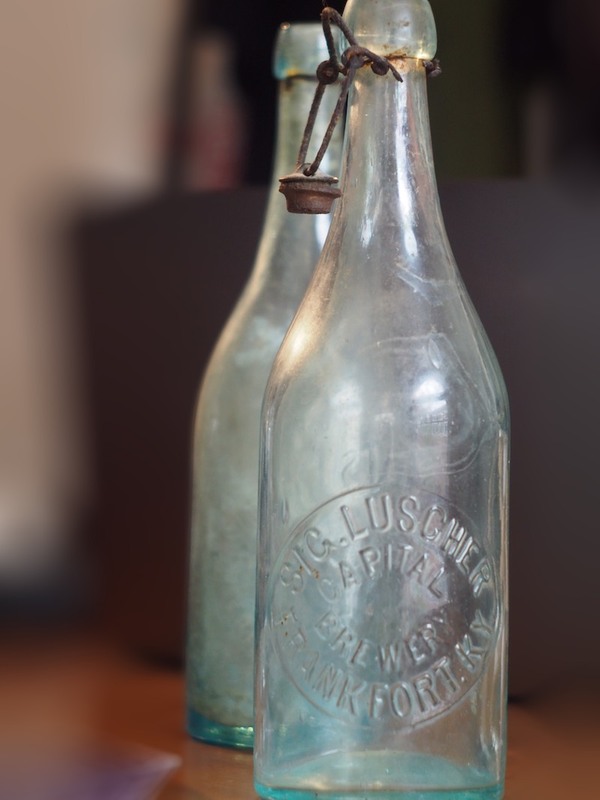 Luscher sold his yeast to Taylor, along with most of the other earliest bourbon distilleries originating in Frankfort. Sigmund’s Great Grandson August, Jr. became the Plant Manager of Geo. Stagg/Blanton Distillery in 1952, taking over from Col. Albert B. Blanton. In accordance with a wager made on the Presidential election, Mr. Jas. Sower wheeled Mr. Sig. Luscher in a wheelbow from the Brewery on Ann St to Sower & Ahler’s on Main St, Thursday afternoon at 3 o’clock. 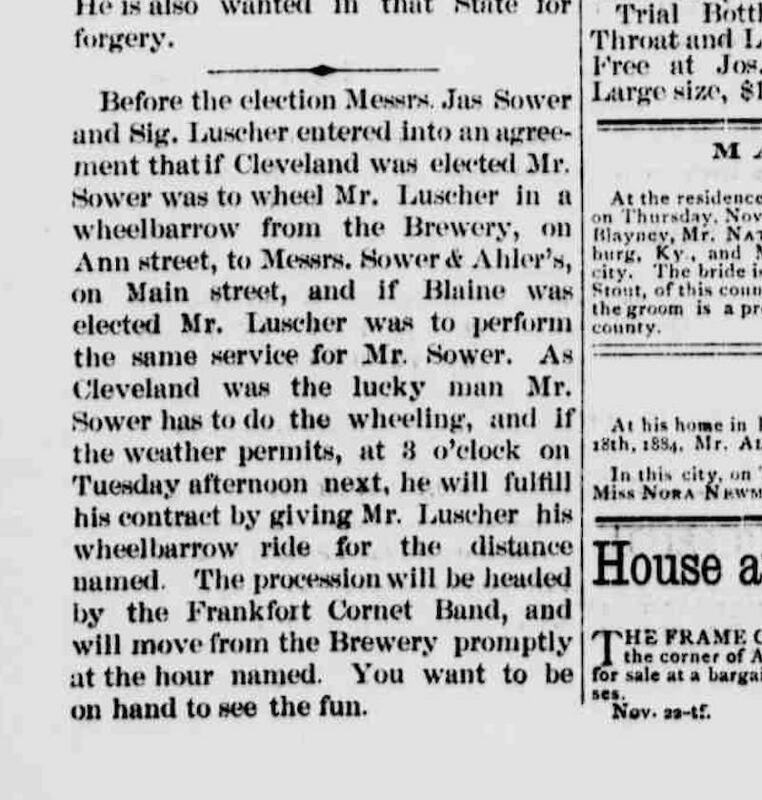 The Frankfort Brass Band assembled at Sower & Ahler’s and marched in front of Mr. Sower and his wheelbarrow to the Brewery, where Mr. Luscher got in and the procession proceeded up Ann Street to Broadway to St. Clair, up St. Clair to Main, in Main to Sower & Ahler’s. The wheelbarrow was provided with a seat having a large tin rooster at the back and a flag on each side. The streets were filled with people along the entire line of march, who enjoyed the novel sight very much. Mr. Sower stood the racket in fine style and was fatigued by very little when the fun was over. In a case pending, a witness had testified that although he had drunk 14 glasses of beer during the day, he was thoroughly at himself (i.e., sober) at the time he witnessed the transaction concerning which he testified. Several physicians had testified as experts that the witness, in their judgment, could not have been free from intoxication, but, on the contrary, must have been in a confused state of mind (i.e., drunk). The attorney, desiring to sustain his witness, called Luscher to the stand, who testified that he had drunk beer daily from his earliest recollection, had for several years worked in a brewery, and for 10 years had been engaged in the manufacture of beer, that during all this time he had seen a large number of men drink beer, and that he knew he could state with certainty the amount of beer necessary to intoxicate. ​I tells you, shelntlemen, no man will git trunk on peer unless he makes a tampt hog of himself. 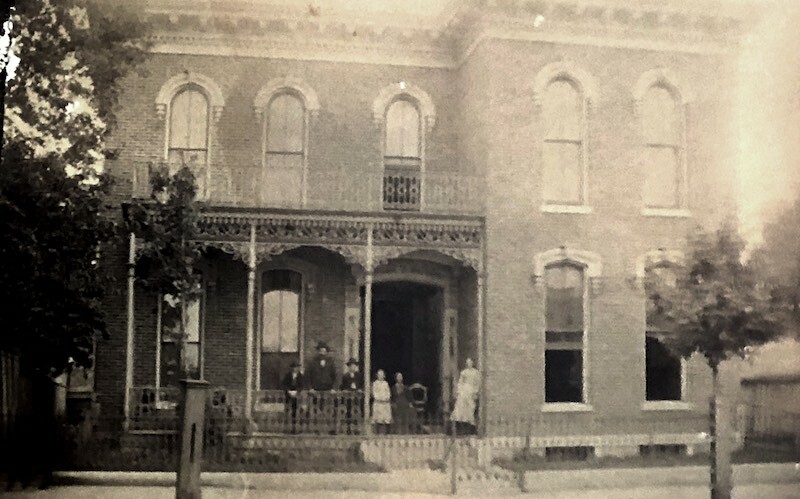 The house is on the National Register of Historic Places and is a wonderful example of Italianate architecture. In the early 1980s during renovation work, a former owner determined the brick walls to be of triple thickness. By clicking enter, I certify that I am over the age of 21. Always enjoy Sig Luscher Beer responsibily.